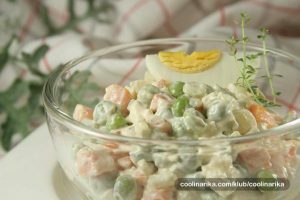 French salad – (Olivier salad) is a side dish (or salad like its name said) that is inevitable during Christmas and New Years in all areas of Croatia. This salad is so tasty and true queen of every festive table. 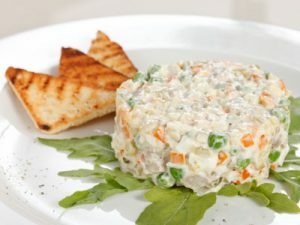 It goes well with almost everything, ingredients are easy to find and it is not complicated to make at all, so will you give it a try?